If you have a story, tips to share or an article on 'good practice', contact us to publish it here. I began to work with Chartmaker because I couldn't find a library for creating graphs in LiveCode that satisfied my requirements. I immediately found it to be wonderful tool." My name is Yves Coppe and I am a doctor in Belgium supporting education. I began to work with Chartmaker because I couldn't find a library for creating graphs in LiveCode that satisfied my requirements. I immediately found it to be a wonderful tool. I have written free software for education for children for the local school including a charting app that displays children's weight to avoid obesity. With CM you can so easily make a very beautiful Chart with just a few parameters. The CM utility is a very wonderful tool to make sophisticated Charts without any effort. You can change the style of the graph (line, bar, scatter, …) to give another look at your graph and quickly demonstrate why chart choice is important. In the utility, you can select the show syntax option. This gives you the opportunity to learn how to write scripts for your charts. It's not a requirement because the utility makes the chart for you, but if you are curious and creative, you may want to write your own and the required script can be provided for you. Something very interesting for students at school: You can make charts using formulae. In the utility again you have samples of that to help you. Using the layout tab of the utility stack you can inlude a visual effect when showing the chart. I like the build option: You see the chart building step by step on the screen. Impressive! In the utility again you can play with the blend effect. It can give a special "blur" style and it's very cool to see. Finally, I'd like to say something about the interactive option. 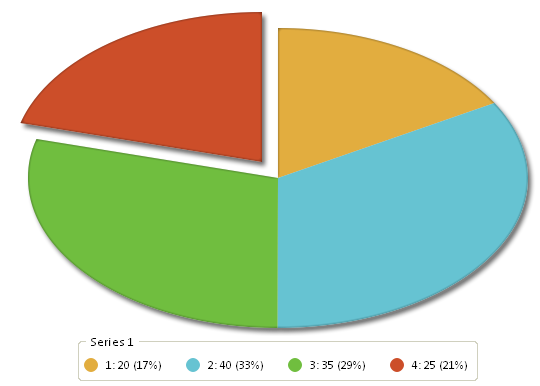 I find it very useful and I use it for example in the pie chart to take a part of the chart separately of the other parts and to gives more importance on one part of the chart. My name is George Brackett. I am an educational technology designer with a persistent interest in developing tools for learning. 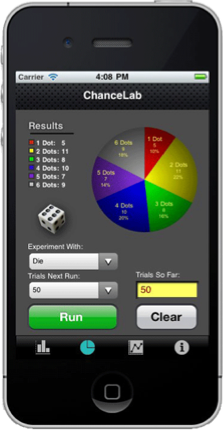 ChanceLab is an interactive iPhone/iPod app that displays the results of probability as an exploratory environment for investigating random behavior. Display of results was to be at the very center of ChanceLab. With it, the user can run multi-trial experiments with coins, spinners, or dice. To see the results instantly graphed was essential, and I knew at once that ChartMaker was the right tool. Not only did it offer bar, pie and line charts (as well as other options I didn't need) but it also was fast (very important on an iPhone), took little memory (also important considering the original iPhone had 256K of memory) and produced beautiful results. 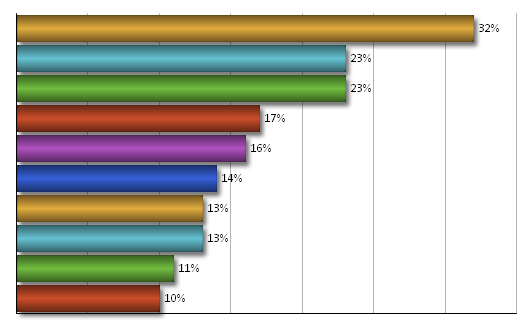 ChartMaker proved very easy to use, especially in the way it handled changing data sets. Other tools I tried changed position and size of a chart depending on the results to be displayed; ChartMaker left position and size up to me, and I left them alone so the display didn't jump around. ChartMaker also made it easy to experiment with display choices until they were what I wanted. 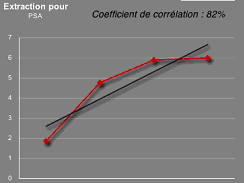 That being so, I tried on a whim a line chart of results, an option I hadn't considered. The result was, in my opinion, the very best way to see how results approach the theoretical probabilities over many trials, and how departures from predictions can persist even into many hundreds of trials. I couldn't be happier with my choice of ChartMaker, and the many users of ChanceLab would certainly agree. ChartMaker for LiveCode is Copyright © 2012 The Flexible Learning Company. All rights reserved.